On September 16, 2018, Super Typhoon Mangkhut slammed into Zhuhai packing winds of more than 160 kmh at its peak. 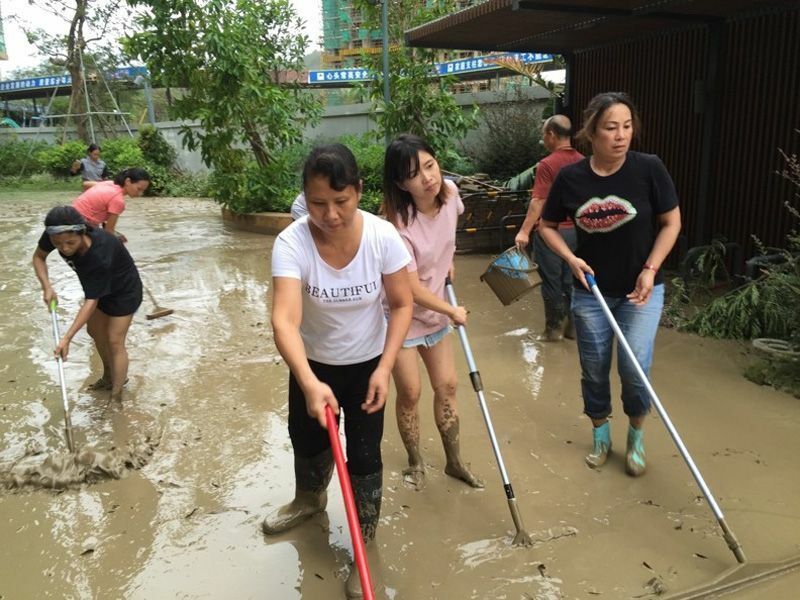 Typhoon Mangkhut was dubbed “King of Storms” by the provincial meteorological station stating a rainfall of more than 100mm was recorded. The heavy downfall left the campus heavily flooded. 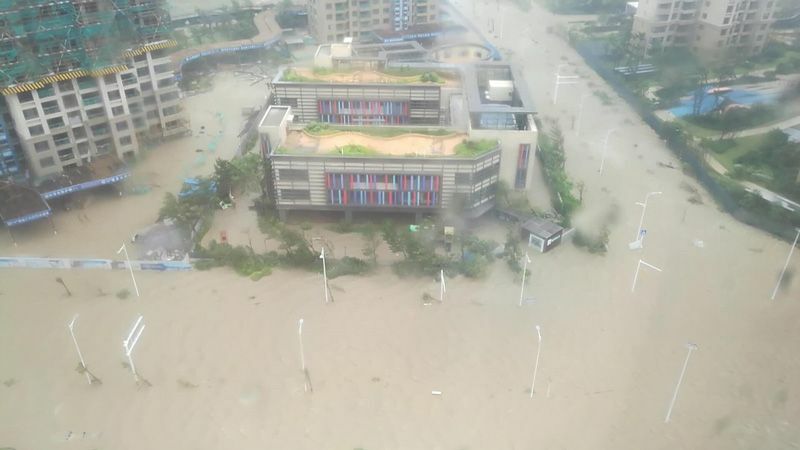 In a flash, water levels surged and left the beautiful city of Zhuhai heavily flooded with many fallen trees and debris. In the days leading to the typhoon, Kinderland took sufficient preventive measures in preparation of the impact. However, the campus was not spared from damages as the typhoon unleashes its power. The first floor and outdoor area were flooded, trees were uprooted and outdoor facilities were damaged. 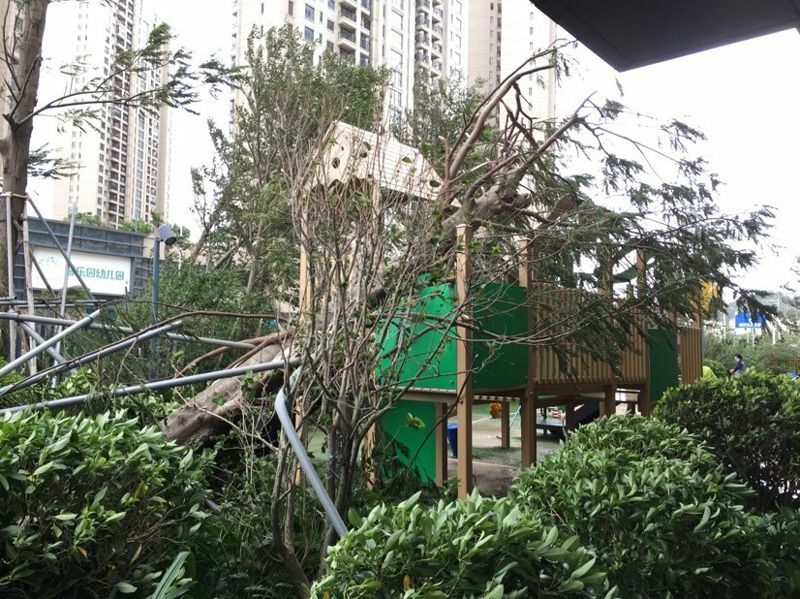 The outdoor playground was covered in debris and uprooted trees. At the Principal’s appeal for assistance in post-typhoon recovery, many warm-hearted parents, children, teachers, staff and volunteers from Yanlord Land turned up at campus eagerly the next morning. With strength in numbers, the Kinderland family cleared the ground of mud, bagged up debris, disinfected the toys, equipment and premises. 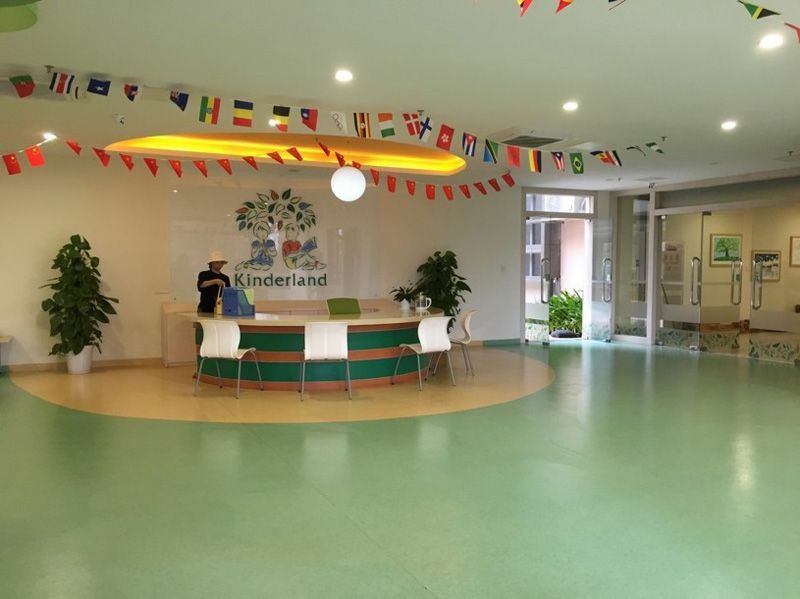 Before the night falls, Kinderland@Zhuhai was spick and span, ready to for school reopening! Parents, teachers, staff and volunteers banded together for the massive clean-up. 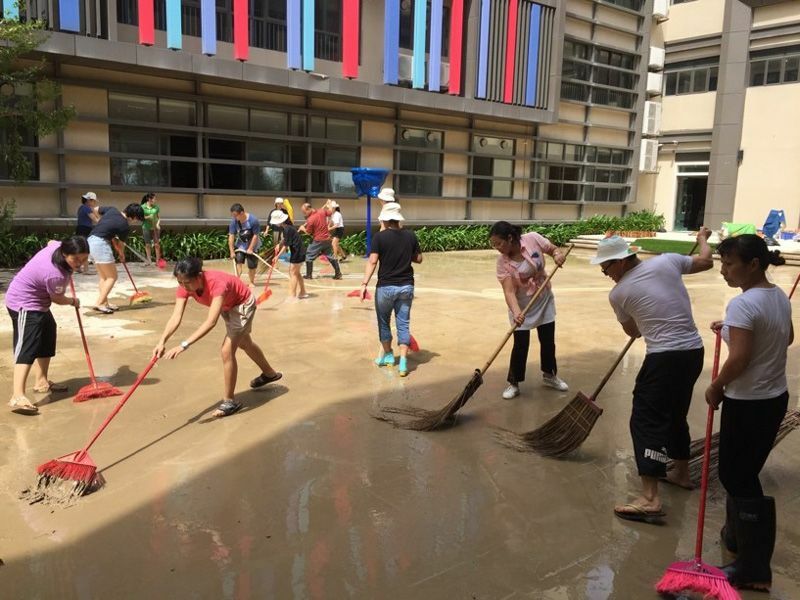 The outdoor area was cleared of filthy muddy water with the tireless help of the team! Our children did not mind the filth and hard work, they want to make their campus beautiful again! Our post-recovery clean up would not have been such a great success without the help and love of our parents, children, teachers, staff and partners from Yanlord Land. Thank you for making Kinderland@Zhuhai great again! The lobby is back to its former glory!